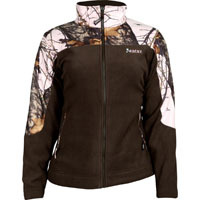 The Rocky® Women's Athletic Mobility Fleece Jacket is a women's camouflage jacket designed for warmth, comfort and function. You can wear this in so many situations. Run errands or shop, go to sporting events or sit around the fire. 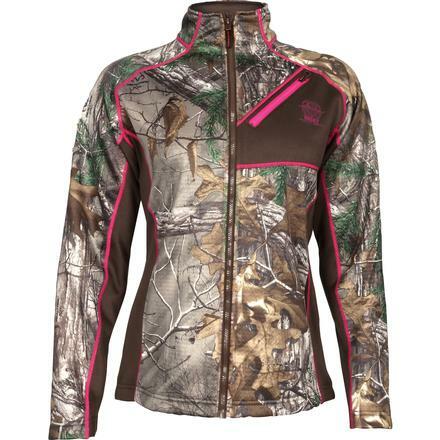 Whether you're a hunting girl or just like the look of this jacket, you'll be happy that it's a water-repellent jacket. It has DWR (Durable Water Repellent) coating to help keep water on the outside of your fleece coat, rather than soaking it up. If you want a comfortable jacket for women, this is a good choice. 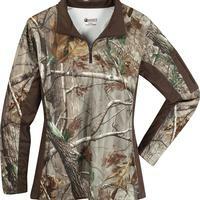 It has 380 grams of bonded fleece, 100-percent polyester, with a grid fleece back. 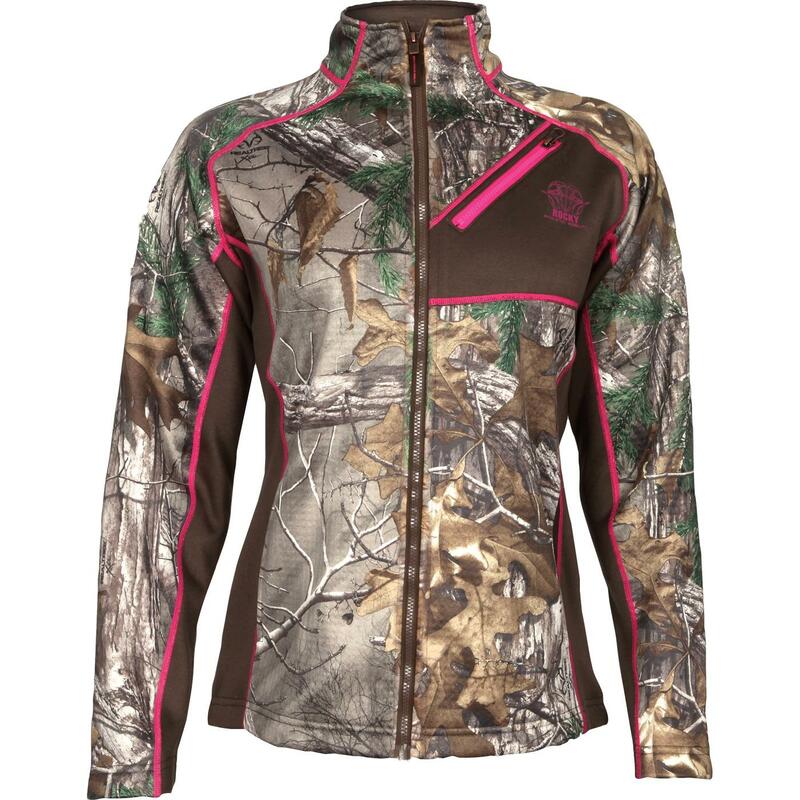 This women's jacket has a Realtree Xtra® camo pattern highlighted by bright pink details. The pink appears as seams running from the cuff to the neck, lending a feminine style. 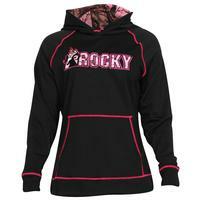 The front zipper and chest pocket zipper both are pink, and really stand out against the camo. The torso of the coat has thicker fleece, and designers used breathable stretch fleece under the sleeves and in side panels. The stretch factor is for ease of movement. And any woman on the go wants to be able move easily in her clothes. The breathable factor keeps you from getting too warm in your jacket. The outdoor jacket has the technology Rocky Scent IQ™ which controls human scent at a microbial level. The R.A.M. 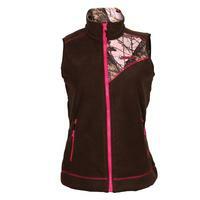 fleece jacket is a great jacket for women when spending time outdoors or just going wherever your day takes you. 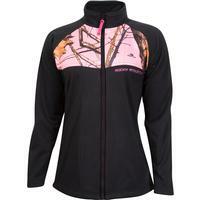 It's a comfortable camouflage jacket with great pink details. Order one today!